Where’s the one place that you can walk up to and get a slice of pizza, a few fried chicken wings, a cup of pudding and, fine, a small side salad too? If you were going to answer a buffet, you’d be right. The appeal of the buffet is that for a good price you can scale and choose your options easily – even if that meant three or four salads and no pizza. The hybrid cloud is effective for those same reasons, said Keith Trippie, former Senior Executive at the Department of Homeland Security (DHS) within the Office of the Chief Information Officer (OCIO). “The beauty of technology today is it allows you, through different technology companies like NetApp or others, to have your data stored on-prem, in the cloud or have a mix of that,” Trippie said during GovLoop’s hybrid cloud online training as part of the Tech Trends Virtual Summit. Agencies have to balance a variety of responsibilities, chiefly citizen service. But as citizen demands increase, organizations have to create efficiencies on the backend to both accommodate and anticipate service delivery. A hybrid cloud is a good compromise for modern agencies, which are adapting to business needs and federal guidelines but need to practically consider workforce and security. Agencies can start the transition to the cloud, embarking on the IT modernization journey, without shocking their employees with an all-out change. Trippie said that agencies move to the cloud for three main reasons – cutting costs, reducing time to market, and improving cyber posture. Yet, that doesn’t mean it’s an easy change. With a few simple considerations, agencies can start leveraging the cloud, without committing their entire IT structure to a new environment. 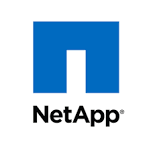 Lori Barber, Cloud Specialist in the Cloud Data Services Division at NetApp, said that thinking of the cloud as an all-or-nothing solution is misguided. Although the cloud is a new technology, having a cloud strategy is key – even if it’s just rudimentary. Instead of generalizing a big picture on how an organization can move to cloud adoption, the presenters encouraged employees to focus on workflows. By moving workflows instead of data blocks, agencies can minimize disruption to business while integrating new technologies. Additionally, cloud technologies will be better for some workflows than others. Workflows that can be accelerated by leveraging application suites or machine learning might be better suited for the cloud than ones that will require regular pen-and-paper sign-offs. Before diving headfirst into cloud migration, try out a few demos. By moving moderate-level data first, the process will be easier for both executives and security managers to handle. Trippie said to also leave the integrations for later. While the cloud has unprecedented potential to streamline business practices, it only does if fully considered. If organizations try to reinvent the wheel, they can hit a major speed bump – sending tremors through business and security practices. Instead, Trippie encouraged agencies to work with third-party vendors to take stock of assets and map out transition plans. Much of moving to the cloud, after all, is change management. With change management comes the people side of the solution. Trippie recounted a time when he lost a valuable employee because the agency hadn’t adjusted the role to match the changing technology. While cloud migrations can be cost-saving, they are investments. And like any investment, they can turn sour if poorly researched. “If they don’t have the proper training, that’s a limitation. From what I’ve seen, and I see it a lot, is people want to go to the cloud but they haven’t set up the environment,” Barber said. Trippie said to reach out to intra-agency IT and tech professionals, as well as to field champions spread throughout departments. The most valuable resource could be an intimate knowledge of agency priorities – straight from the OCIO. “At the CIO level, what they really want is someone to come in and understand the problem they’re trying to solve,” Barber said.